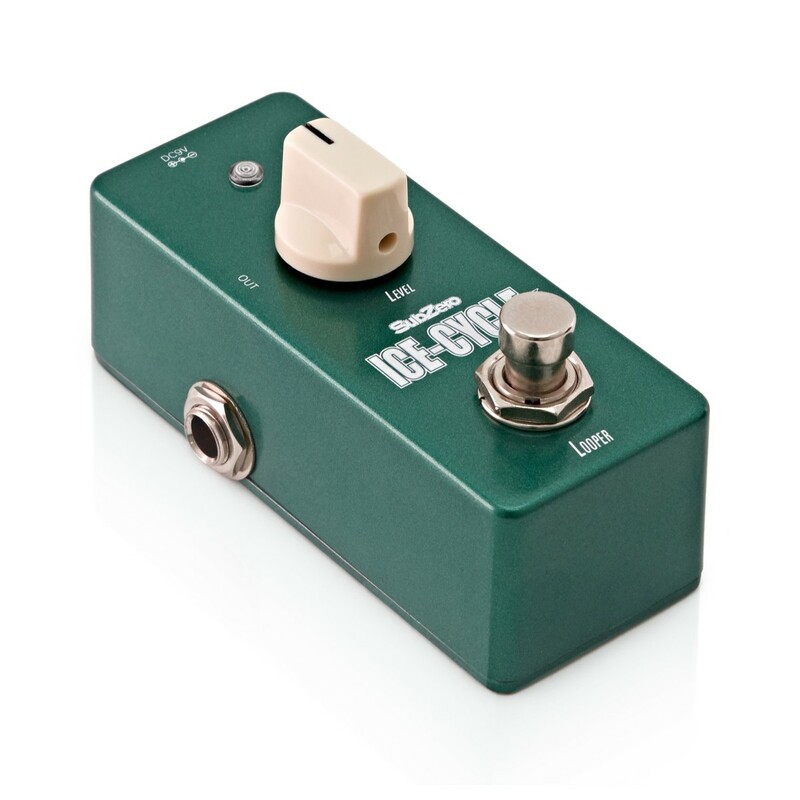 The SubZero Ice-Cycle Looper Micro Guitar Pedal is an intuitive true bypass looper pedal that utilises a one switch design. This pedal produces crystal clear 16bit 44.1KHZ WAV audio, making for a great sounding pedal that is ideal for both practice and performance. The small size and robust steel construction means this durable pedal won't take up much space on your pedal board and can withstand the rigours of gigging and travelling. 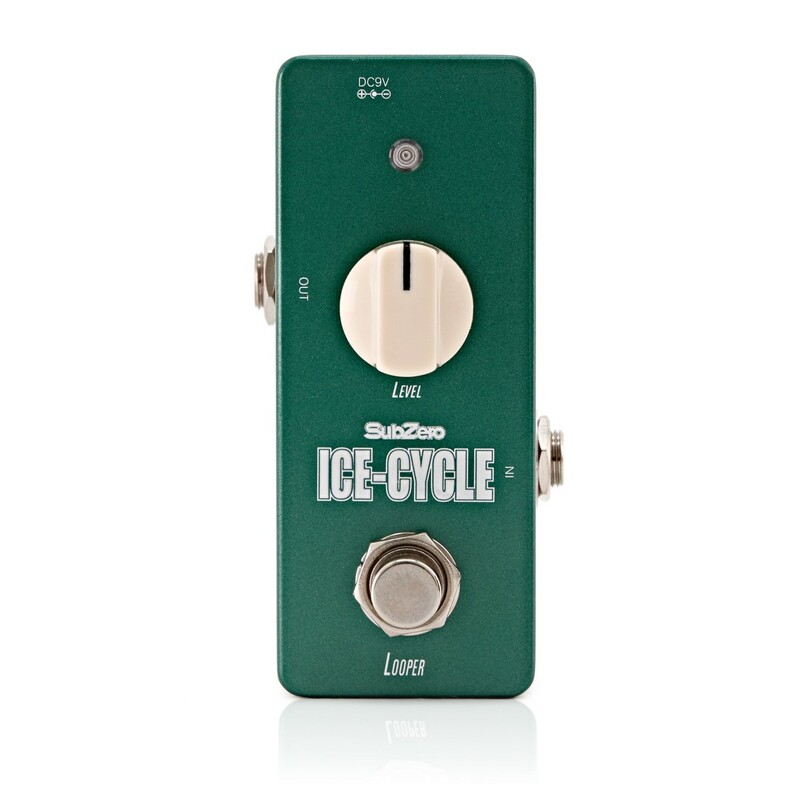 The SubZero Ice-Cycle Looper Micro Guitar Pedal utilises a one switch design, which makes experimenting with your sound simple and easy. 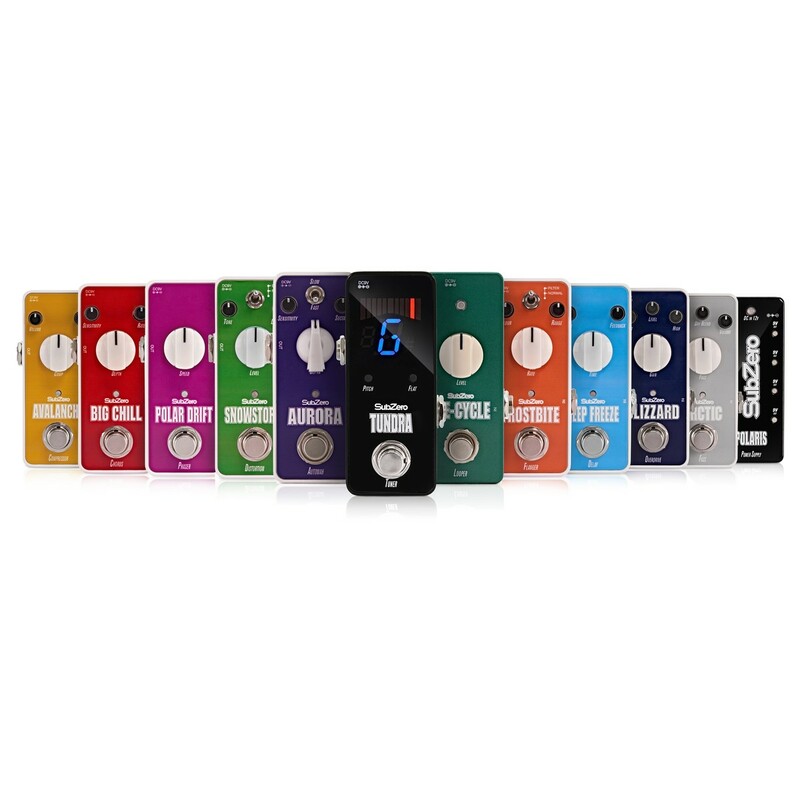 With up to 10 minutes of recording time and unlimited overdubs all packed into this tiny pedal, your ability to get creative and practice your loops is boundless. Press the switch once to begin recording your performance, then once more to begin the loop, from then you can press the switch once again to add as many overdubs as you require. Holding the switch down allows you to undo the loop if you make a mistake, and hold again to re-do if you decide you want to keep the performance. A double press pauses the loop, holding the switch down whilst the loop is paused will delete the performance so you can start again from scratch. The only other control is a level knob, which controls the volume of the loop, meaning you can mix your loop into your performance with ease. For more detailed instructions on how to use the Ice-Cycle Looper please click here. With high quality components, this pedal records your loops in 16bit 44.1KHZ wav audio. This means that the audio produced by this pedal is as clear as possible, no matter how many loops your composition is using. 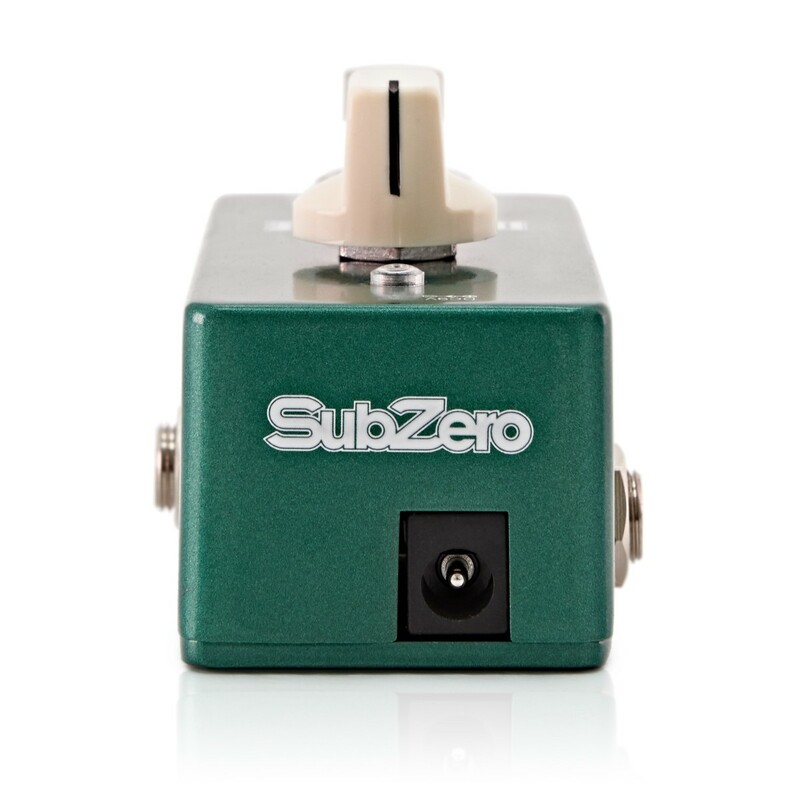 The SubZero looper pedal also features true bypass, ensuring that when the pedal is turned off it does not affect the circuitry of your pedal board and always keeps a clean signal. The SubZero looper Micro Guitar Pedal is part of SubZero's new range of micro pedals, and it's compact size make it suitable for any pedal board. It's full metal shell, rugged construction and complete analog circuit mean this pedal has been designed to withstand the rigours of gigging, rehearsal and studio use. The pedal takes a standard 9v DC adapter, allowing for easy integration to most normal pedal boards.